Home Articles Is it time to plant the garden? Much of the snow has melted from the valley floor, and there are signs of spring everywhere. If you haven’t yet thought about your vegetable garden, now is the time. The temperature is perfect for those cool-season crops that love this time of year. So, if you love cool-season crops, it is time to get out into the garden and start planting. Carrots should be planted directly into a well-drained soil, rich in organic matter. Photo by Wendy Hanson Mazet, Cooperative Extension. Onions should be spaced with room to grow. Photo by Wendy Hanson Mazet, Cooperative Extension. My weekend chores are already lined out, with the beautiful temperatures that are forecasted for our area. Lettuce, spinach, carrots and peas are generally the first thing I sow in March. I start from seeds, planting them directly into my garden beds. After planting hundreds of seeds, I start my onions and leeks. I like to purchase these bare-root to save time. In western Nevada, we live at different elevations with very different microclimates. Some gardeners will follow the rules of thumb for their area. One such rule of thumb is plant your peas by St. Patrick’s Day. If you have never planted cool-season crops or started your garden this early, here are a few tips to help you with the most commonly planted crops. Garlic is a great indicator of planting times for gardeners. Garlic typically emerges when the soil temperature is about 40 degrees Fahrenheit. This is just above freezing and 8 degrees above the minimum soil temperature that peas, leeks, lettuce and parsnips need. 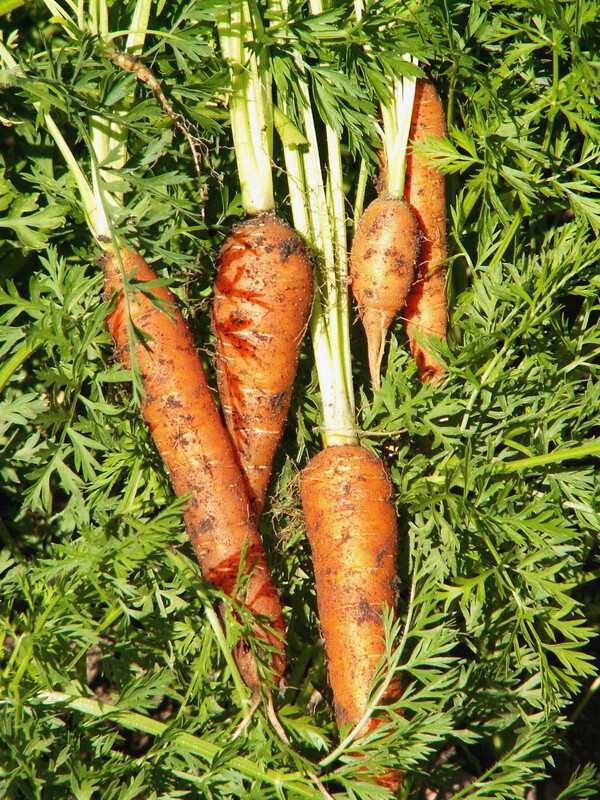 When planting peas, spinach and carrots,plant seeds directly into a well-drained soil, rich in organic matter. Onions also prefer well-drained soil, rich in organic matter. Bulbs and sets or starts can be planted now. Seeds should be started indoors and transplanted within a month of germination. 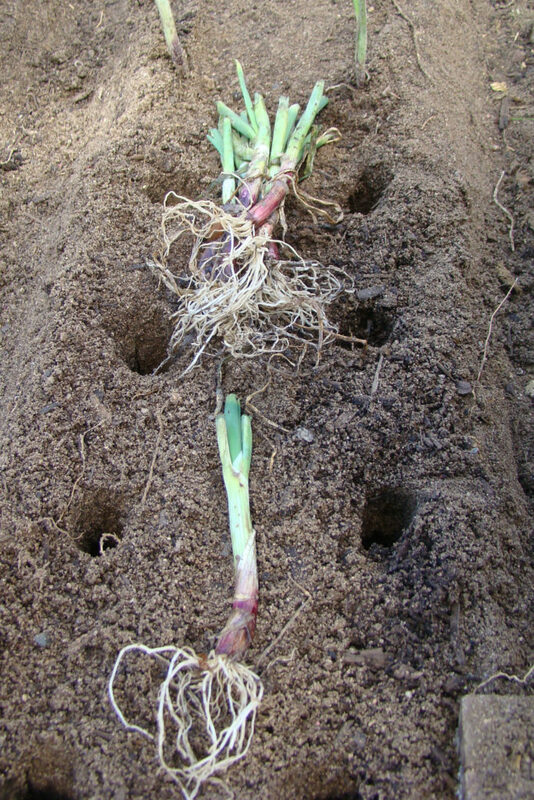 Onions have a small root system and do not perform well with competition, so space them with room to grow. If you want to plant lettuce and have a variety of types already growing, mix seeds of the different varieties together first and scatter them over the entire bed area. This style of planting is often called a salad bowl mix. In many cases, you can purchase seeds that have already been blended together. This is most successful with loose-leaf lettuce varieties, not head lettuce. Remember, most cool-season crops will be finished and ready to harvest by mid or late June. The beds can be left to rest for a month or so and then replanted with cool-season crops again in August. If insect pests have been a problem, start the new seeds in a different location for your second-season vegetable gardening. By planting cool-season crops in mid-August, you can continue harvesting fresh vegetables into late autumn. Wendy Hanson Mazet is the Master Gardener Program coordinator for University of Nevada Cooperative Extension in Washoe County. If you are interested in learning more about vegetable gardening, Master Gardeners will be speaking during the Gardening in Nevada Bartley Ranch series 6-8 p.m. March 19 and 26. There is no cost to attend. Master gardeners are also available to answer gardening questions at mastergardeners@unce.unr.edu or 775-336-0265.